Home / Stock Picks / Hot Stocks / GrubHub Stock Is In Free Fall — Can Earnings Deliver A Surprise? GrubHub Stock Is In Free Fall — Can Earnings Deliver A Surprise? During the Dot Com bubble, investors were buying the stock of any company that has had a website. Since then, the internet has evolved drastically and we now are in a new world order where we absolutely need it almost all day. The internet has become a necessity, though the reasons why vary for as many as we have people using it. An important reason for tech’s ubiquity is consumer conveniences. Food delivery is one of those, and for a great bunch of people, GrubHub (NYSE:GRUB) provides an essential service. With a few pokes at our smartphones, we can make food show up to our door from almost any restaurant. This is highly functional business with very few competitors but is this edge sustainable? The GrubHub stock is falling off a cliff so seemingly there is trouble on the horizon. While the S&P 500 is up 20% year-to-date, GRUB stock is down 15% for the same period. It has been underperforming the indices markedly since February. As markets pushed for new all-time highs, GRUB is falling into an abyss. Is this the time to catch the falling knife? The short answer is no. There is no rush to buy the shares at this time. Clearly the price action is telling us that there is something wrong — don’t be a hero. Before you label me a GRUB stock hater, this is nothing specific against the company itself. But I do have big problems with how the stock price action is unfolding into earnings events. Among other things, GrubHub stock has a unicorn problem. Lyft (NASDAQ:LYFT) has already come to market with its initial public offering and an even bigger gorilla Uber will be coming next. And therein lies a giant problem for Grub. This is the hottest IPO in years, and aside from a passenger delivery service, Uber also has a budding food delivering food service through Uber Eats. The have deep pockets and they are not afraid to over spend. Moreover, this could eventually cause LYFT to also join the food delivery arena. This new competition from companies who don’t currently care about margins puts even more pressure on the valuation for GrubHub stock. It’s already stretched, as it sells at a 77x trailing price-to-earnings ratio and 6 time total sales. These are numbers that demand that GRUB deliver astonishing accelerating growth else price will continue falling until they reach equilibrium. Otherwise the stock cannot compete for investor bids against giant new entrants that who don’t have as much margin pressures from Wall Street. So this could be a transition period for GRUB stock. Therefore by definition this makes it a questionable investment without any specific information on future plans. And since I don’t have any, I will assume that I am at a disadvantage when bidding to buy the stock here on good faith. To make matters worse, its recent drop brings GRUB stock lower then the Christmas and recent earnings lows. This is an important level to hold because it was also pivotal in December of 2017. Technically, if GrubHub loses $65 per share, it could trigger a bearish pattern that would retest $45 per share. Although this is not a forecast, it could unfold given the right circumstances. Such pivotal zones usually offer support on the way down. But in this case, prices are falling too fast, so there is no evidence of recovery yet. These are signs that the bulls are tired of defending the neckline, therefore they’re likely to lose it. In that case, the bears will overshoot lower and we will set new lows from two summers ago. So GrubHub is a falling knife with a very tiny handle and a large blade. Trying to catch it now requires a lot of skill and faith that the average investor does not likely have. It’s probably better to let it fall onto the ground before picking it up so as not to lose any digits trying to time a perfect bottom. However, the earnings event is coming soon and those are always binary in nature. We don’t know what the company is going to report, and more importantly we don’t know how traders will react to those numbers. So it comes down to expectations. Maybe enough people expect the worst, and if so, then maybe GRUB can have a positive reaction to even marginal numbers. So the best play here is to use the options market, where one can risk a small amount to be long the stock through earnings. If I already owned the shares, I would buy protection puts in order to guard my assets through the event. Selling covered calls against stocks would also provide some cover against a stock sell-off. 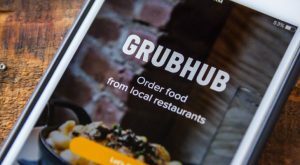 Article printed from InvestorPlace Media, https://investorplace.com/2019/04/grubhub-stock-is-in-free-fall-can-earnings-deliver-a-surprise/.